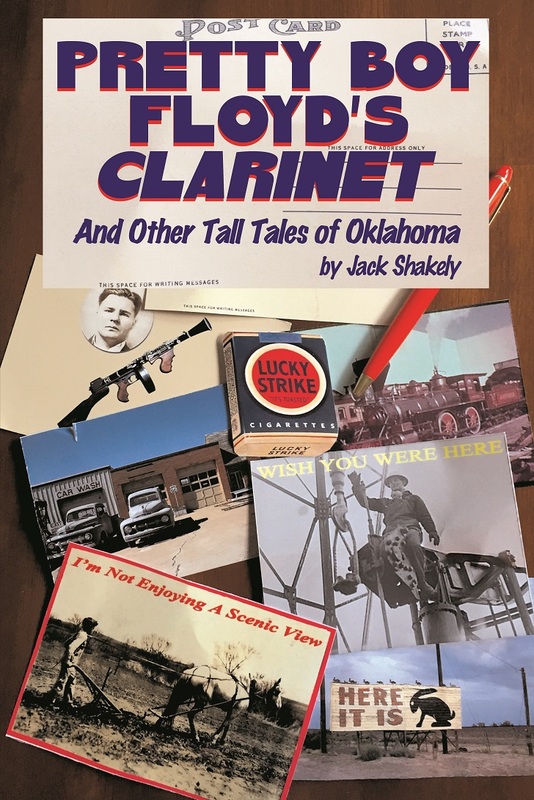 Shakely, Jack – Pretty Boy Floyd’s Clarinet and Other Tall Tales of Oklahoma – Strider Nolan Media, Inc.
A Creek Indian fights for the North during the Civil War. A young boy crosses paths with the notorious gangster in the title story. Young orphans from New York City are sent out west to find new families. A one-hit wonder from the 50’s tries to break through to the big time. Nicaragua’s president-for-life requests a fateful newspaper interview. A chronic stutterer shares his experiences getting past his condition. The state of Oklahoma has to deal with an infestation … of jackrabbits. An Iraq War veteran who lost a limb cannot rest until he gets it back. Nineteen stories in all are sure to captivate, no matter where the reader calls home. Even if it’s not Oklahoma. “Jack Shakely is a longtime Californian, but in all his works of fiction, his Oklahoma roots come shining through, as does his Muscogee/Creek Indian heritage and colorful background as Peace Corps volunteer, newspaper editor, U.S. Army officer and nonprofit foundation executive. 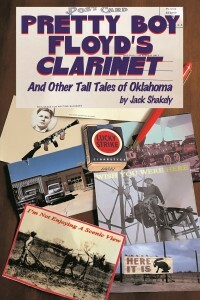 All these elements are on display in Pretty Boy Floyd’s Clarinet and Other Tall Tales of Oklahoma, his collection of short stories–some hilarious, some nostalgic, a few in a more serious vein. Tall tales need a germ of truth to build upon, and Shakely mixes fact and fiction so skillfully that telling the difference is totally unimportant. Jack Shakely is the recipient of the 2014 Oklahoma Book Award for his novel of the early days of the Peace Corps, Che Guevara’s Marijuana and Baseball Savings and Loan. He is also the author of The Confederate War Bonnet, which won the National Independent Publishers Award for best historical/military fiction in 2007, and POWs at Chigger Lake, which won nothing but is still a darn good book. And also available from Strider Nolan Media, ahem, ahem.